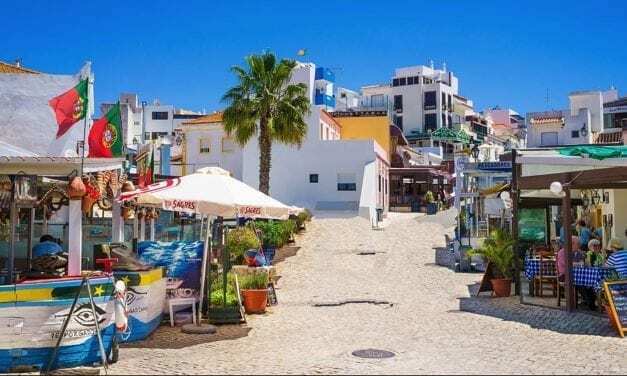 Beautiful Alvor in Portugal is our most favourite place to visit in the Algarve. We love the way it has retained its traditional Portuguese charm with its low rise white buildings and cobbled streets that lead down to the harbour. 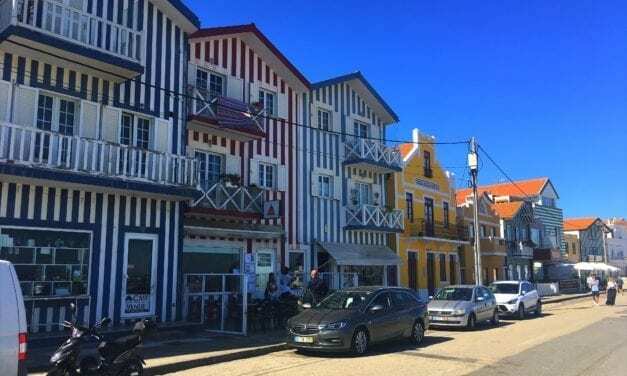 Costa Nova is only a small town which is still an active fishing village but its charm is the colourful candy-striped wooden buildings of all shapes and sizes which line the main street through the town. These buildings which are like beach huts are known as Palheiros and whilst most are used as holiday homes some are permanent residences. There are also really interesting traditional tiled buildings mixed in.